SQ-S Gasket Sheets, the world’s first 100% expanded PTFE sheet in a true 60″ x 60″ format, is now also available in 77″ x 77″ (SQ-S “H” Huge Sheet.) Independent laboratory tests have revealed that SQ-S is one of the tightest gasket materials available to the market. The SQ-S “V” Rigid Gasket Sheet brings an improved rigidity to the SQ-S Gasket Sheet while maintaining the excellent sealing characteristics of SQ-S. It is designed for difficult installation conditions when rigidity is a significant factor. 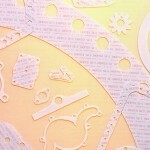 Insertable Gaskets are made with a corrugated metal insert. The typical sheet thickness is 1/16″ (1mm also available) and the standard metal used is 24 gauge 316L stainless steel. Through enhanced resilience of the gasket by incorporating the corrugated metal insert, the design is aimed at improving sealing performance for applications involving thermal cycling effects and at low compressive loads. It also provides high blow-out resistance. Gasket Tapes are manufactured by a patented process that produces a uniform and highly fibrillated microstructure with thousands of small fibers running in many directions. It is FDA suitable and comes with a full paper covered self-adhesive backing that makes installation simple. Valve Stem Packing is an extremely pliable product that will conform to worn valve stems and packing glands to help eliminate the need for costly downtime and repair. 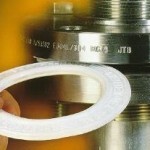 Then unique properties of PTFE assure valve operation, even after long periods of valve inactivity. 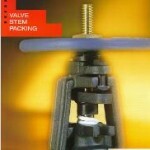 It will not harden or dry out in service and will normally outlive the life of the valve. UHF Joint Sealant looks and feels different from other joint sealant products. It is smooth and flexible with an exceptionally uniform texture and density. Under the surface is a microscopic structure that makes this remarkable material the strongest, most versatile sealant available today.